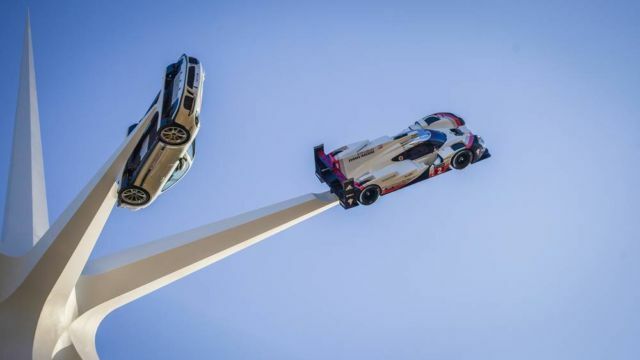 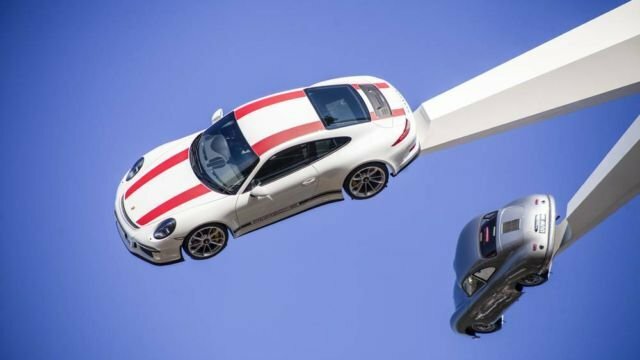 Six Porsche cars attached to a 52-metre-high star-shaped structure at the Goodwood Festival of Speed 2018. 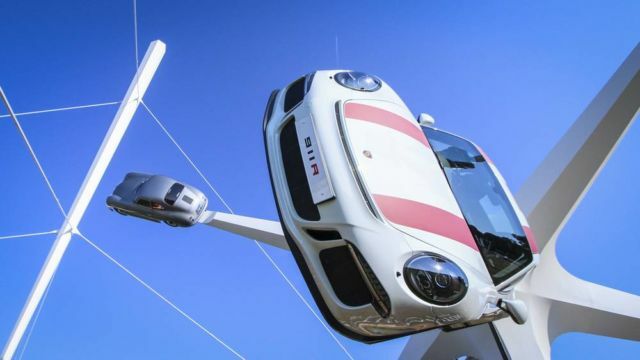 The sculpture at the 25th annual Festival of Speed, created to mark 70 years since the first production Porsche was introduced, was designed by British artist Gerry Judah. 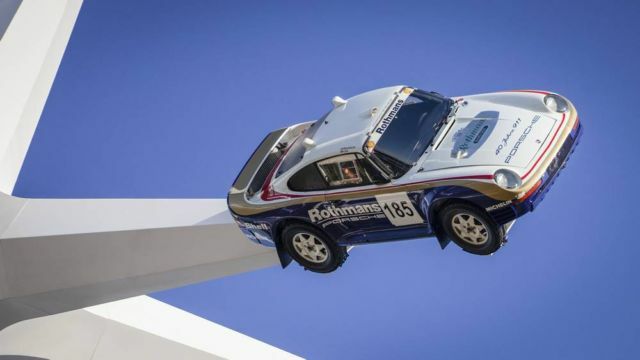 2018 is the Goodwood Festival of Speed Silver Jubilee and for the launch Crate47 have created these images and a video showing the making and installation of this year’s Porsche central feature sculpture that celebrates the 70th birthday of the iconic automotive giant. 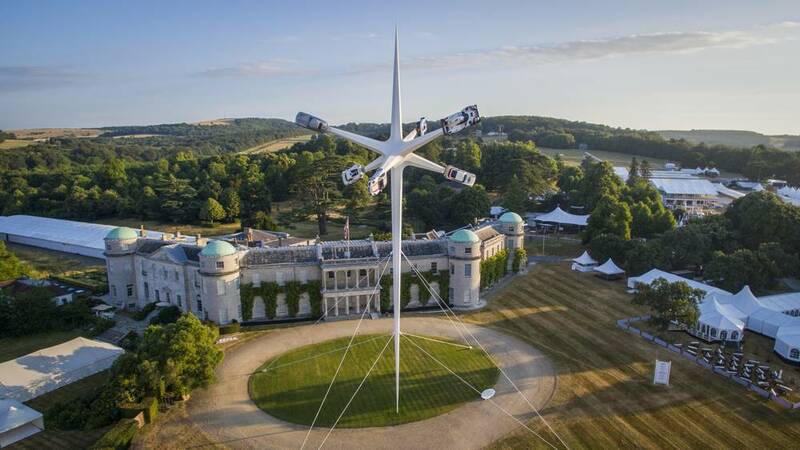 The central feature, designed by Gerry Judah, stands 52m high, and is clearly visible across the entire Goodwood Estate. Each of the six arms, projecting out from the jumping jack like centre section, has an iconic Porsche road or race car that heralds the 70 year history of the manufacturers engineering excellence. 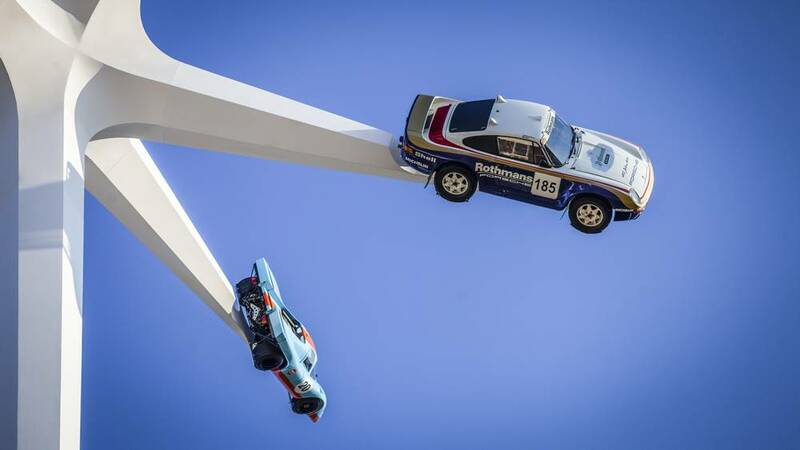 Every year Littlehampton Welding Limited fabricate and install the sculpture at the Goodwood Festival of Speed. 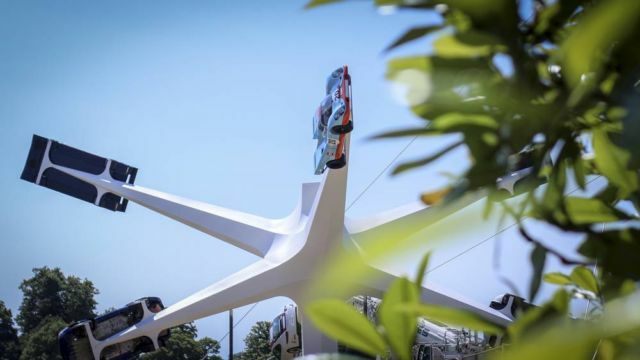 Featuring some of the most prestigious car brands in the world, each individual central feature is completely different from the last and invariably inspires awe and delight in the many visitors to the annual event. 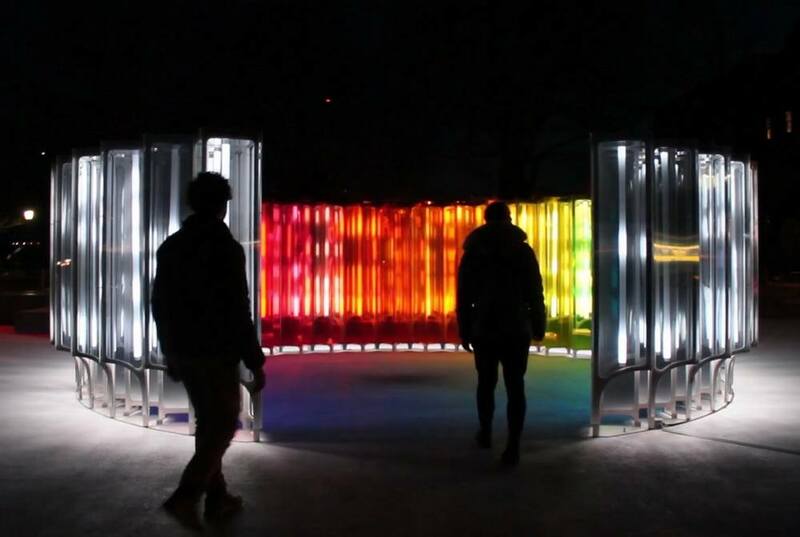 Since 2012, Crate47 have photographed each of these impressive sculptures, showcasing them on the Littlehampton Welding Limited website. 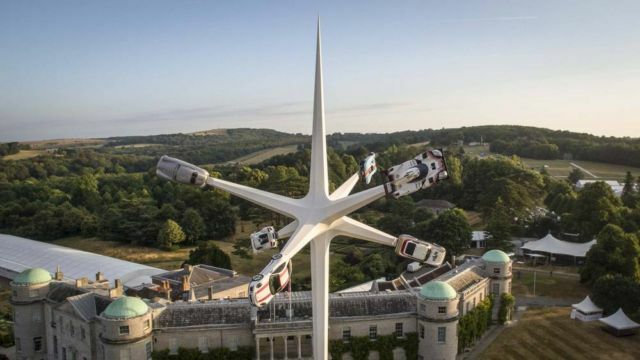 This year they have captured detailed Photographic and Video footage whilst on location at Littlehampton Weldings’ metal works and during the installation in front of Goodwood House. 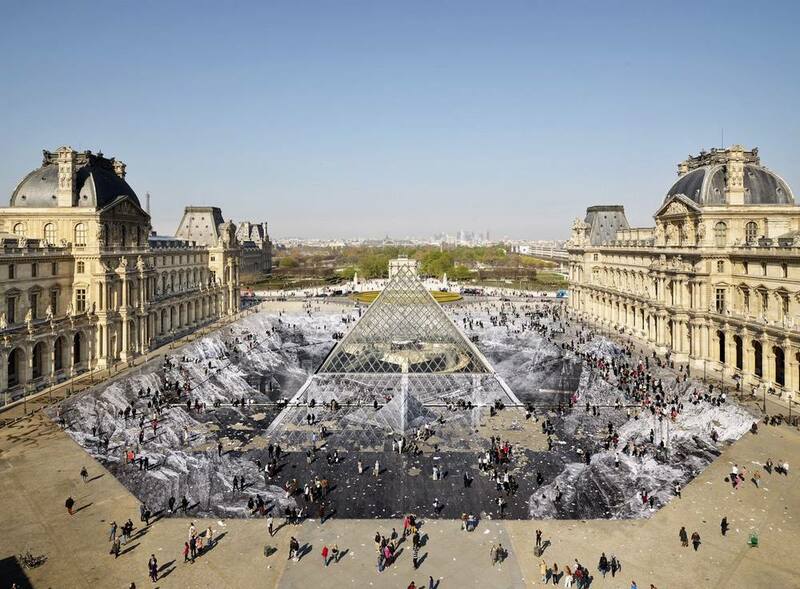 Their film shows the various stages of fabrication of this enormous sculpture and the transportation and installation of the vast sections of steel that have been fabricated to make such an impressive feat of engineering. 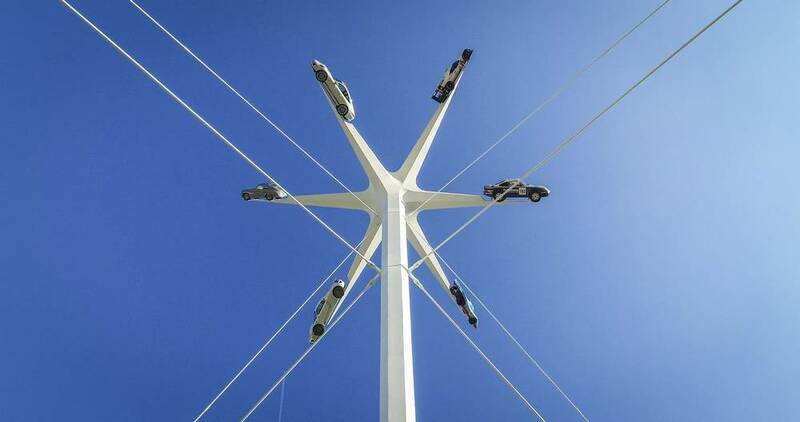 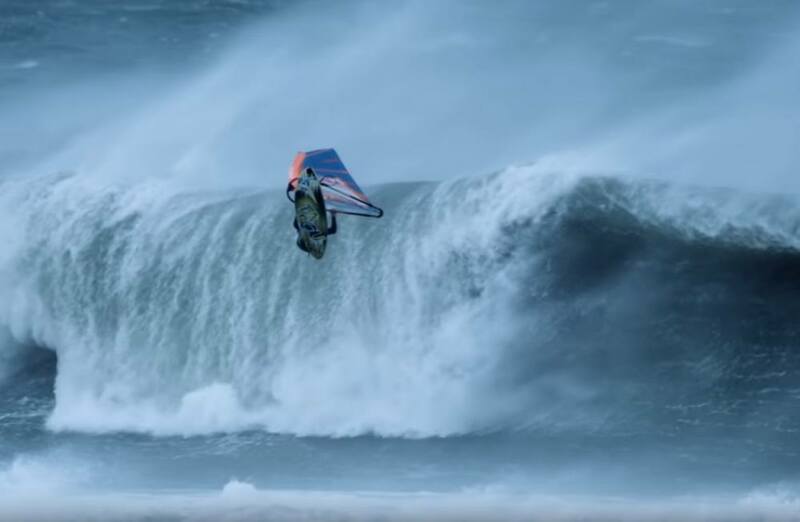 The final film includes Aerial footage taken by their state-of-the-art drone, filming the finished sculpture using full 360º rotation. It has produced some stunning panoramic views and dramatic shots, setting the scene for this years Goodwood Festival of speed.